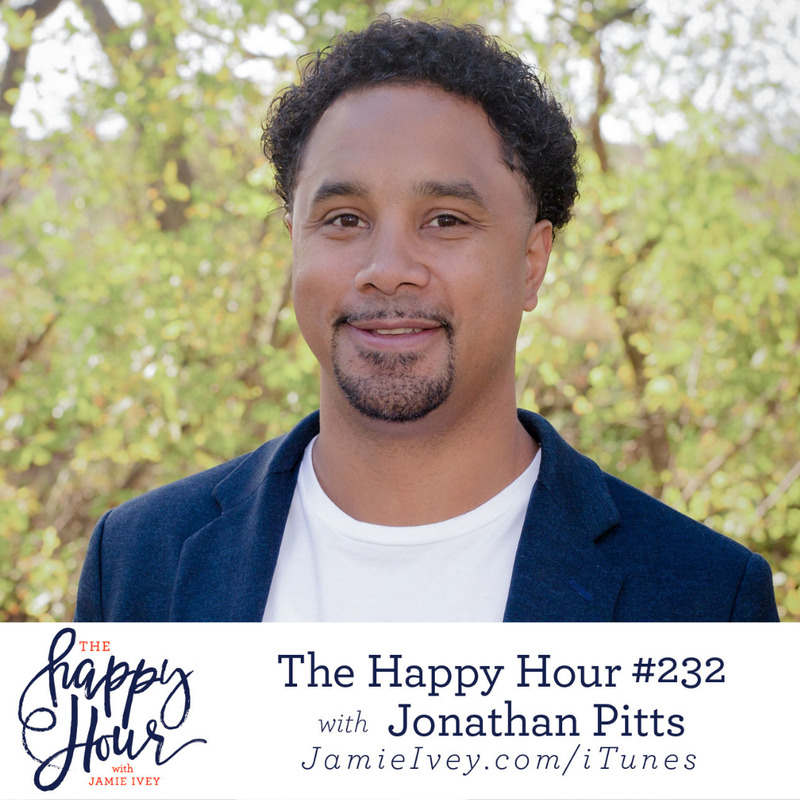 My guest for The Happy Hour # 232 is Jonathan Pitts. Jonathan is the Executive Pastor at Church of the City and husband to my friend Wynter Pitts, who God called home July 24, 2018. Jonathan and Wynter have four daughters, and on the show today I had the honor to talk with Jonathan about what life has looked like since her passing. Jonathan starts off sharing how the ministry Wynter started, For Girls Like You, is continuing and growing. We then get to hear so many incredible stories of how God has shown Jonathan and his family that He's always been with them as they've walked this road. He talks about learning how God is with us in the present, and because of this truth it is possible to grieve and experience joy in the same space. My faith was so encouraged listening to Jonathan speak about hope amidst suffering. I was reminded that even when there is pain now, it is not wasted. God can use all things for His good and His glory, and there is joy coming in the end because of the cross. Friends, I loved Wynter and am so honored to get to share Wynter's life. If you aren't familiar with her and her ministry, please check out the links from the show - I know you will be encouraged, inspired, and pointed to Jesus.